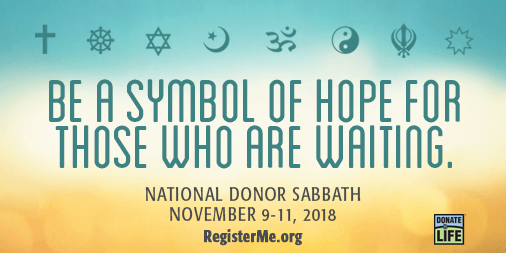 National Donor Sabbath is observed annually two weekends before Thanksgiving, from Friday through Sunday. 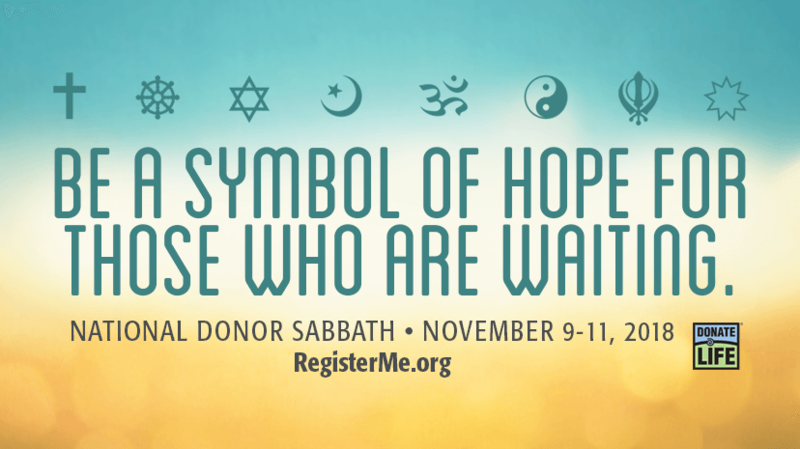 This three-day observance seeks to include the days of worship for major religions practiced in the United States. During National Donor Sabbath, faith leaders from many religions, donor families, transplant recipients, and donation and transplantation professionals participate in services and programs to educate the public about the need for the lifesaving and healing gifts passed to others through transplantation, while also encouraging people to register their decision to be an organ, eye and tissue donors. We invite you to use the following downloadable resources within your local communities and houses of worship. 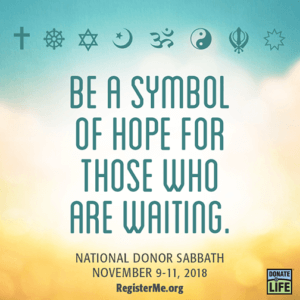 You can also reach out to your local Donate Life contact if you are interested in hosting an event in your local community, want to find out how to get involved in an existing event, or would like more resources customized with your local state registry information. Instagram – click HERE to download zipped folder with files! Twitter – click HERE to download zipped folder with files! 300 x 250, 728 x 90 web banners – click HERE to download zipped folder with files! Looking for a church or community event idea? 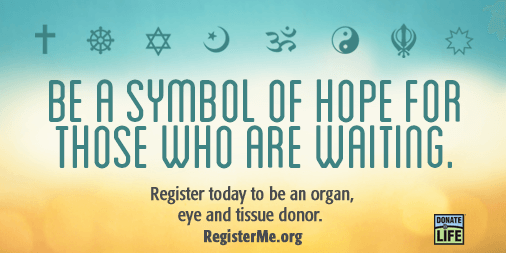 Hold a viewing of The Wish – A Story of Faith, Hope and Generosity to inspire others to register as organ, eye and tissue donors. Thank you Carolyn Winfree Gillette for permission for its free use to any church wanting to encourage organ, eye and tissue donation. The national Presbyterian Church (USA) did a feature news story on the hymn. All artwork is copyrighted by Donate Life America and may not be copied, altered or reproduced. 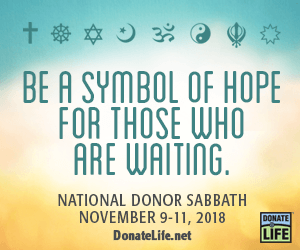 Contact the Donate Life America office with questions or requests for alternate use of the copyrighted artwork (Valerie Gray, vgray@donatelife.net).